Sure, Facebook is where you share what happened on last night’s night on the town and photos of your new kitten. But Facebook can also be a great tool for finding job opportunities and landing an offer. 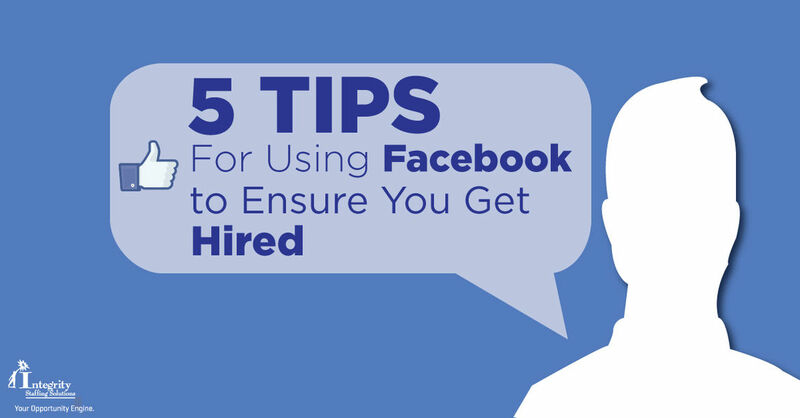 Up to 80% of recruiters now check applicants’ Facebook pages before making a hiring decision. Do you really want them to see those selfies of your trip to Vegas, or that rant about what an idiot your current boss is? Instead of making all your posts public, target them to specific groups of friends. To do this, click the “Public” box, select “More options,” then “Custom.” Now you can fill in which groups will and won’t see your post. Your groups are listed under the “FRIENDS” header in the left sidebar (close friends, acquaintances, etc.). Click the header and you can create a new group; call it Professional, or something similar. Now go to your list of friends, click the drop-down menu next to each name, and assign that person to one of your groups. Add your resume to your profile. Under Work and Education, you can provide a wealth of detail that might impress hiring managers. Most people just list their current or most recent employer, but you can add your entire employment history by clicking “Add a workplace.” Then click “Add a professional skill” and fill in the job titles and duties you have experience with. Now, when potential employers come looking, they’ll find everything they need to know about you. Regularly update your status with what type of job you’re looking for, who you’ve interviewed with and where you’re thinking of applying next. You never know what acquaintance or friend of a friend might let you know about a job opening that’s perfect for you. Get an inside track to your dream job by finding out the name of someone who already works there, ideally the hiring manager. Go to that person’s page and check for friends in common. Then ask those friends to give you a referral or endorsement. Join professional interest groups and alumni networks; they’re great places to show off your expertise and make valuable connections. Comment regularly, so that your name will come to mind when another group member is looking to hire. With 300 million users in the U.S. alone, Facebook can be a fantastic resource for finding your next job. Use these 5 tips and you’ll be well on your way!